A revealing new book that shows the key to health and weight loss isn't which foods we eat—it's the microbes already inside usWhat should we eat? It's a simple and fundamental question that still bewilders us, despite a seemingly infinite amount of available information on which foods are best for our bodies. Scientists, dieticians, and even governments regularly publish research on the dangers of too much fat and sugar, as well as on the benefits of exercise, and yet the global obesity crisis is only worsening. Most diet plans prove to be only short-term solutions, and few strategies work for everyone. Why can one person eat a certain meal and gain weight, while another eating the same meal drops pounds? Part of the truth lies in genetics, but more and more, scientists are finding that the answer isn't so much what we put into our stomachs, but rather the essential digestive microbes already in them. 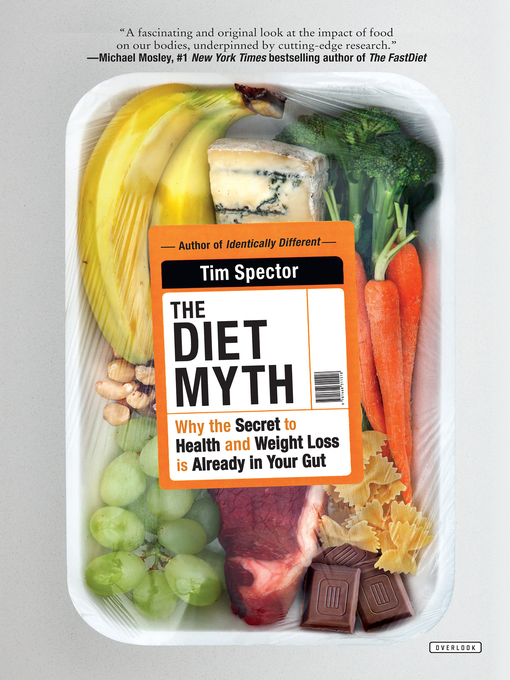 Drawing on the latest science and his team's own pioneering research, The Diet Myth explores the hidden world of the microbiome, and demystifies the common misconceptions about fat, calories, vitamins, and nutrients. Dr. Tim Spector shows us that only by understanding what makes our own personal microbes tick and interact can we overcome the confusion of modern nutrition, allowing us to regain natural balance in our bodies. Countless recent scientific papers have been written on weight-loss topics like prebiotics and fructans, and The Diet Myth gathers these latest findings into one place, revealing new information about how best to lose weight and manage our bodies. Mixing cutting-edge discoveries, illuminating science, and his own case studies, Spector reveals why we should abandon fads and instead embrace diversity for a balanced diet, a healthy stomach, and a nourished body.